While it is perhaps not the most exciting area of the standard hotel room or hotel suite, the hotel bathroom is an important part of it. And while no traveler would really expect to find everything they have in their bathroom space at home in the bathroom in their hotel room, there are certain things that the modern traveler simply expects to find there, And the hotelier who ensures that their establishment meets - and ideally exceeds - those expectations - is one who should see a good return on their investments in the form of increased guest satisfaction. Whenever a guest steps into their hotel bathroom for the first time the one thing you can be sure they are looking for is a plentiful supply of towels. It’s the rare person who makes use of just a single towel after a shower or bath and so it’s only natural that a guest expects that their ‘towel needs’ - and those of anyone else sharing the room with them, will be met. When it comes to the towels themselves guests expect them to be clean (of course), available in several different sizes (body, face, hands etc) and soft and fluffy, rather than thin or scratchy. A hotelier shopping for hotel bathroom supplies does have a budget to stick to though, so must balance the need for 'soft and fluffy’ with the need not to break the bank. Hotel guests simply expect that, even if they have brought along their own plentiful supply of toiletries that the hotel will also provide the basics - free of charge - in their hotel bathroom. And while they may not expect that these be of the most luxurious, salon quality standard they do expect them to be usable. So stocking up on (at least) soap, shampoo and conditioner, toothpaste and maybe even a scented body wash (which many guests will prefer to bar soap) should be a must for any hotelier. The average hotel guest tends to value establishments that 'surprise them’ with little extras during their stay. And the savvy hotelier will go that extra mile to do so, as the ROI on a small investment in additional hotel bathroom supplies in the form of improved reviews on Yelp!, TripAdvisor and the like alone will be significant. By making the extra investment in stocking your hotel bathrooms with the supplies guests want - and even expect - to see in such a space you will be helping to ensure a better experience for all of your guests, which can only lead to better results for you too. Duvet vs Comforter - What's the Difference and Which Should You Choose? Any hotelier wants to provide their guests with the highest level of comfort possible, especially when it comes to the bed they will sleep in during the course of their stay. When it comes to hotel bedding, after the sheets and pillows - and pillow cases - are chosen, hoteliers are faced with another choice; will a duvet or comforter top off the bedding ensemble? People - as in guests in this case - love duvets because they are warm but surprisingly lightweight. The removable duvet cover can be changed as often as needed - or desired - giving hoteliers the option to change up the look of their bedding with ease and at a relatively affordable cost. The comforter began to replace duvets in the late 19th century in the US - the duvet remains the bedding of choice in Europe to this day - and these days they are the most common bedding choice for the general public. A comforter, like a duvet, is a quilt crafted from two layers of fabric stuffed with feathers, down, or most commonly a synthetic alternative. Usually, a comforter is not as soft and 'fluffy’ as a duvet as it does not contain as much fill. It does not require a cover and is designed to be a one piece item. A comforter is a 'one-piece’ item that does not require a cover, making it, in the eyes of some, the easier choice for a hotel’s housekeeping staff. Once you have considered all of this information, you will find that there are extensive options available for both hotel comforters and hotel duvets. Armed now with the basic knowledge you need you should now be able to make the best hotel bedding choice for your establishment - and your budget. via Tumblr Duvet vs Comforter - What's the Difference and Which Should You Choose? One of the things that travelers have almost come to expect they will be offered at any hotel is access to gym facilities. Even those who are traveling for pleasure, not business, don’t want to miss a week - or more - of workouts simply because they are far away from their local gym. For those hotels and motels that do boast gym facilities, there is a lot to consider in order to provide the best possible guest experience. And while the big stuff is important - the machines, the instruction, things like that - so are the ‘little things’ that can make a big difference. One of the most important of those 'little considerations’ is making sure that guests are provided with the best gym towel to make use of while they work out. If you stop and think about it, towels are an important part of going to the gym - any gym - in lots of different ways. Their obvious use to mop up the sweat that the average gym goer usually produces in abundance during the average workout, of for toweling off after that great post-workout shower. Guests love to be greeted with a plentiful supply of soft, fluffy looking towels when they hit a hotel gym. But choosing the best gym towel calls for more than simply buying the ones that look nice. There is, in fact, more to choosing the right hotel gym towel than you think. Here are some of the most important things to keep in mind. Gym towels and bath towels are not interchangeable, or they should not be anyway, and so the 'guidelines’ you might follow for towel materials for use in the rest of your establishment are likely to be a little different. When shopping for gym towels you’ll quickly find that you have several main options in terms of materials. Most people usually find, however, that 100% cotton, while a fairly standard choice, is still the best one. Cotton Terry, to be specific, tends to be best for the gym, as it is soft, durable and does not 'shed’. The last thing a hot, sweaty gym goer wants is to end up covered in lint because their gym towel sheds. So 100% cotton really does tend to produce the best gym towels for sweat. But what of those other options? Microfiber has become a very 'trendy’ choice over the last few years, and it does have its upsides as a gym towel. It’s durable, absorbs moisture well and is even good at trapping germs and dirt. As a gym towel choice, it may be a good option, especially if you can find the right price, but the fact that it is not quite as soft as a good quality 100% cotton towel may be a little off-putting for some gym goers. As we just mentioned, a heavy towel does not make for a great gym towel and neither does one that is too big. A medium weight, medium sized - around 13" X 44" is often ideal - is often the best gym towel choice for general guest use, although you may want to consider offering a couple of different sizes so they can choose for themselves. One of the things hotel guests ‘judge’ a room on most is the quality of the night’s sleep they get. And while getting a great night’s sleep depends on a number of different factors one of the biggest is the comfort and quality of the bedding. It’s hard to get a good night’s sleep if the sheets are too scratchy or the blankets too thin - or thick - to provide comfort at the right temperature. 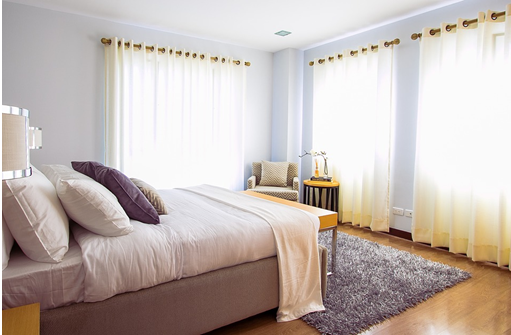 In looking for bedding that will provide their guests with the comfort they are looking for, many hoteliers turn to down and down alternative products such as down comforters, down pillows and more. And in seeking out these hotel bedding products they often turn to Phoenix Down, one of the leading manufacturers of down - and down alternative - hotel bedding products in the US. Down alternative is what its name suggests, a synthetic alternative to natural down that is often suited for use by those with allergies to feathers - although high quality down is usually hypoallergenic - or who are looking for a slightly more affordable alternative. Phoenix Down alternative down products are crafted using a blown polyester fiber blend that mimics natural down very well. When shopping for down comforters, down pillows and other down products suitable for use as hotel bedding the term 'fill power’ will crop up often. This is the standard by which all natural down bedding products - and most down alternative bedding products - are graded. The term refers to a measurement that is calculated by placing a sample of the down in a special test tube that measures the number of cubic inches it can fill. The very finest down - which is extremely expensive and rather difficult to find - has a fill power of 750, with the lowest quality down 'weighing in’ at 300. Phoenix Down products are crafted using down that ranges in fill power from nothing less than a 550 fill power, a standard that provides a high-quality product that is soft but durable at a reasonable price that better fits the hotel bedding budget the average hotelier has to work with. Softness - Hotel guests are looking for bedding that is as comfortable - if not even more so - than the bedding they make use of at home. High quality down bedding, like that provided by Phoenix Down, provides that comfort, especially when it comes to hotel comforters and hotel pillows. Warmth - High quality down comforters are created using high fill power down - 500+ - that helps ensure that guests stay warm no matter what time of year it is or how cold it is outside. Thermal Regulation - Another advantage of down fill is that it is a great temperature regulator. The down offers great 'breathability’ and wicks away moisture that can leave a sleeping guest feeling sweaty or sticky. Longevity - With the proper regular care a down comforter can last for years, something that is not true of many standard comforters, which can often become 'lumpy’ and uncomfortable after just a few months use in a hotel setting. The same is true of hotel pillows, with down, or down alternative pillows from Phoenix Down boosting a lifespan of up to ten times longer than the standard hotel pillow. Available in fill levels from 650 to 550 and in all bed sizes - Twin, Full, King and Queen - Phoenix Down duvets boast a 100% cotton cover and great longevity, as well as superior comfort and styling to suit almost any hotel room decor. No matter what the size and style of the hotel the linens provided for guest use are always of the utmost importance. When they walk into a hotel room the sheets, pillowcases, towels, bathrobes and more are some of the very first things they check, and some of the very first things they will comment on in reviews of the hotel after their stay is over. as reviews have become the lifeblood of the modern hotel all over the world no hotel can afford to make mistakes. For hoteliers making the right choices is not always an easy task though. While wanting to please their guests they also have a budget to consider. Therefore, the very best hotel linens and fabric accessories for everyday use tend to be those that can provide quality, comfort, and durability but are still sold at a reasonable price. All of the things that one of the largest, and best-known hotel linen lines, Oxford Super Blend, can supply. What sets their products apart, in the eyes of many loyal customers, is their commitment to quality - all of the cotton used in their products is carefully sourced and curated and all of the fabrics finished to the highest standards - and to reasonable pricing. So just what does Oxford Super Blend have to offer to hoteliers in search of great hotel linens? Let’s take a look at some of their most popular offerings. If there is one thing that any hotel needs a lot of it is towels. Every hotel guest expects a plentiful supply to be provided to them and they want them to to be bright, clean and fluffy. Most people agree, thin, rough towels - or worse still grimy towels - are a terrible way to end a refreshing shower or relaxing bath. Oxford Super Blend are wholesale towel experts. The Oxford Super Blend towel range is an extensive one and there is an offering to suit every budget and hotel style, from the Oxford Super Blend Silver Range, which is an 86/14 cotton blend offering with 100% cotton loops and a classic dobby border to the high-end 100% brushed cotton offerings like the Oxford Super Blend Platinum. And while classic white, beige and linen colored towels are the biggest sellers the colored Oxford Super Blend towel range is growing in popularity as well, especially with boutique hotel owners. Oxford Super Blend offers wholesale towels for hotels in a wide variety of sizes and not just for the bathroom either. They are also well known for the high quality of their pool and kitchen towels that are crafted to the same high standards and offered at the same reasonable price. The company offers a wide range of hotel bedding, from standard sheets to ultra luxurious coordinated sheet sets in a wide variety of cotton blends to suit every budget. For those hoteliers looking for ease as well as quality and value the Oxford Super Blend Hotel Ensembles offer everything needed to create a ‘well-dressed’ bed, from high-quality oxford weave sheets to polar fleece hotel blankets, throw pillows and more. Hotel linens consist of far more than just hotel bedding and hotel towels. Depending on the size and style of the hotel it may need tablecloths, napkins, robes, and more. One of the biggest advantages for hoteliers who choose the Oxford Super Blend brand for their wholesale hotel linens is the fact that the company can offer a 'one-stop shop’, with everything a hotelier might need in terms of hotel linens offered in one place, at reasonable prices and crafted with a consistent quality. And when it comes down to it, what more could you ask for? The quality of the hotel linens is always of the utmost importance. If you take just a quick look at Yelp! Trip Advisor or other similar sites, you’ll quickly see that it’s an area that guests mention regularly, sometimes in a positive, but more often, in a negative way. “The sheets were scratchy,” “the towels were flimsy,” and similar comments are posted all too often. This all means that shopping for the best hotel linens is not always as simple as you might think. You do want to provide quality, but not at a price that breaks the budget. And there seem to be so many options to choose from in the first place! When choosing hotel linens, it’s likely that you’ll keep seeing two terms over and over again; Pima and Supima, both used in reference to cotton products. But just what are these things, and perhaps more importantly, which should you choose? In a battle of ‘Pima vs. Supima’ who wins? Here are some important facts and pointers to help you figure it all out. No doubt you’ve seen pictures before of cotton fields boasting acres and acres of the fluffy white buds that will one day become a fabric that has almost unlimited uses. What you may not realize is that there are different types of cotton plant used to create the cotton fabric we all know. Pima cotton is one of the extra long staple cottons (Egyptian is another well-known example of this cotton type) and as such boasts properties that many other cotton varieties do not. It originated in Peru but is actually named for the Pima Indians who brought it to North America and perfected its cultivation. These days, in the US, pima cotton is grown primarily in Arizona, California, Texas, and New Mexico, as it is only in these states that the delicate balance of the right soil, the right temperature and the right water levels needed for pima cotton to truly thrive exist. You may also be wondering what extra-long staple cotton is. Extra-long staple cotton has individual fibers within each fluffy cotton bud that measure at least one and three-eighths of an inch in length. This means that pima cotton fibers are 50% longer than standard cotton. Why should you care? Because when woven pima cotton becomes a silk-like fabric that is softer, stronger and far longer lasting. Facts which, if you are shopping for hotel towels, hotel sheets or other hotel linens, are certainly something to pay attention to. Pima. Supima. Sound very similar don’t they? That’s because in many ways they are. Supima cotton is different to though pima cotton, but only sort of. Allow us to explain. Supima is not another strain of cotton; it’s actually a brand name. The brand belongs to The Supima Association, an industry body that grades, regulates and markets the pima cotton offered for sale in the USA. To be bestowed with the Supima label a batch of pima cotton must meet some rather strict standards in terms of thread length, cultivation procedures and its intended movement through the supply chain. In order to be branded as Supima pima cotton must be exclusively grown and processed in the USA. In the most basic of terms, Supima’s name speaks for itself. Supima = superior pima. What does this mean in terms of product? It means that hotel towels, hotel sheets and any other hotel linens a hotelier might consider purchasing that carry the Supima label really are the best of the best. Pima vs. Supima: Which is Right for You? Hotel linens crafted from pima cotton are superior to most of the other options on the market. Supima is top of the line. Both are great choices for the towels, sheets, pillowcases and more that a hotelier needs to furnish a guest room. So which should you opt for, if left with a choice between the two. In reality, that choice may simply boil down to budget and personal preference. Pima products are utilized by some of the best hotels in the USA and beyond, and so it certainly meets some very exacting standards. Supima is more expensive, but you are assured that the cotton is of the highest possible quality, so if you are hoping to create a truly five star ambience and experience for your guests, the extra expense may very well be justified. Getting down and feather pillows to be fluffy as they were when you bought them is an easy thing to do. Even after you use them for a while, they fit inside any washing machine extremely easy, without the need to use force. That’s especially important as you can cause damage to the machine which could cost you hundreds, or even thousands, depending on how expensive it is. Besides the fact that synthetic pillows are pricey nowadays, they are nowhere near down or feather ones when it comes to comfort and durability. Many people are afraid of washing the synthetic pillows because of the fact that it can get damaged in the process, which results in throwing it away and buying another one. Gosse feathers and down feather pillows are much more comfortable and will, in fact, last a lot longer, which why paying a little bit more at first will save you money in the long run. Furthermore, you’ll always sleep on a clean pillow, enjoying a beautiful scent of your choice. Washing pillows can only be done properly if you completely rinse and dry them given that they are both thick and dense. You might have noticed that your pillows tend to turn yellow, and the main reason for that is sweat. Even during the cold days, your body gets very warm, hence the increase in temperature, which ultimately causes you to sweat more. We sweat because the body needs to lower its temperature, and specific medical conditions, menopause and pregnancy are associated with increased body heat. Natural oils, present particularly in the head area, can be yet another reason for a pillow to turn yellow over time. Quantity - Never turn on the washing machine without putting at least two pillows inside of it. You want to keep the spin cycle balanced. Water Temperature - Set the temperature to what you feel comfortable with, but be aware that hot water might cause shrinkage. There are the key steps to washing your pillows properly, but you can always use non-chlorine bleach to whiten them up. On the other hand, one thing you don’t want to use is fabric softener as it can reduce the fluffiness. To freshen the pillows, you can always use dryer sheets, but what’s even more helpful is using dryer balls. If you don’t have them, you might use clean tennis balls as well to speed up the process. We have described the best way to clean feather pillows, but you can use this method for any other natural fill pillow as well. The ultimate down VS feather pillow war needs to settle down once and for all. Unless you’re buying exclusive and more expensive versions, which only contain one of the two materials, you’ll most likely going to get a pillow that’s filled with both. It’s best that you try them both and decide which one is more comfortable for you, as it is not something that can be generalized. Are duck feather and down pillows good? Absolutely. As we said at the beginning, deciding to switch from even the best synthetic pillows to feather or down pillows might cost you a little bit more, but they will last for much longer. Don’t be afraid, it doesn’t mean that you’ll have to do it on a daily or weekly basis, but every three to six months would be ideal. Never wait more than half a year before thoroughly washing and drying your pillow, as it collects dander, body oils and dead skin cells. If you do not have time to do it, you can always search for “pillow cleaning near me” in order to find someone who can do it for you. However, you can see how easy it is and how cleaning feather pillows doesn’t take any expertise to be done. Alright, but what about hotel pillows? You know how to care for feathers, but do hoteliers have the same knowledge? You can always check that, by taking off the pillow protector and judge by the color and smell. If there are no stains, bad smells or punctures, their hygiene is top notch. Every hotel guest should have the habit of doing this, as clean pillowcases are not enough. As we said, sweating is the number one reason why your pillows turn yellow. That said, it goes without saying buying the best pillow protector for night sweats is a must. Keep in mind that you’ll need to wash the case more often than the pillow, ranging from once a week to once a month at least. I open my eyes, smiling in the crimson tint illuminating room over my soft white duvet cover. I feel like I just pieced together a puzzle. But, what puzzle? If I could only remember what it was. I don’t know about you, but sometimes I dream vividly, and other times it’s vague. Sometimes I remember them as if they were real and other times I’m left scratching my head. Today it was the latter. I usually don’t wake up smiling, quite the opposite and so I decided to figure this dream out. As I roll over and sink into the soft memory foam mattress, I feel my head cradled in support as the pillow fills. puzzle, the puzzle…? What was the coffee grounds, what was the coffee grounds…being poured on my computer? I can’t stop them from being poured onto the computer. Holding myself back from total TKO on the bed, I wake up and I open my eyes again. “Coffee, Computer, Internet,” I mutter to myself rising out of bed trying to decipher. Ok, coffee gives you energy and helps you focus, the computer is where I work, the internet where I communicate. Ok, I need to focus on my communication at work…Oh yes, that’s it. I need to blog more. I’ve fallen behind, and I need to write. I should right about how to buy this hotel pillow cause this one is amazing! Find us through manufacture SKU, tags and product search menu. Many of our customers want that Phoenix Down or any of our wildly popular bedding brands. It’s easy to find the exact pillow you want. Simply click on our brand link, and you can find whatever hotel supply brand you need. If you know the collection or you know the specific features, there are two ways about it. One is to navigate through the categories page and then use our filters to narrow down your products or two you can search for your specific Pacific Coast collection like ”Royalloft,“ and the website will populate with the Royalloft collection. There are numerous options available for you to choose the finest hotel collection pillow. Finding out that your search query has ‘No Results’ can be quite disturbing to see. There can be many reasons why you might have experienced this. Firstly, the product could be out of stock. For further information, you can contact our customer support department through e-mail at support@hotels4humanity.com. You will have to tell them exactly what you are looking for along with the SKU number as well. If you have any further questions related to our services, our customer support will gladly answer them. You might find yourself amazed at how many people ask hotels for their pillow’s SKU numbers. If you find a pillow, you can contact housekeeping for the details. Once you get the item number or description, you can contact hotels4humanty.com directly to find you a similar product. This will finally put an end to your chase. There’s a high chance that when you receive your product, it might not seem as good as you expected. In case of pillows and comforters, you should give them some time to regain their softness and shape. You can speed things up a bit by shaking your pillows or comforters by holding their corners. For new pillows, put them in a dryer with a tennis ball on the no heat option. You can also use a damp cloth as a substitute to a tennis ball. For this method, a warm temperature setting of about 20 minutes is necessary for regaining your pillow’s fluffiness. Following these simple instructions might be enough to give you the same feeling you expected from our pillows. Different hotels may use different maintenance techniques when it comes to pillows. This is why most of our customers complain that the product they received was not the one that they ordered. The use of such efficient methods ensures that the pillows can maintain their originality. If you found our special hotel pillows comfortable and you want a similar product for your hotel collection. Contact us on our customer service members, and they will surely find you something that suits your hotel’s style. If you think that our product does not suit you, you can always return it to us. We believe in providing the best pillows to hotels to ensure that their customers can sleep safe and sound. A good night sleep can be quite rare if you don’t have the best bedding accessories. If you want the unmatched comfort with the highest quality in your bedding items, Phoenix Down or any of our wildly popular brands will not disappoint. Illustrations are a much better way to describe the making of the Pacific Coast®premium pillows. Choosing a pillow online can be quite tricky as you can’t touch it, feel it or determine the level of softness for your comfort. The professionals at Pacific Coast® ensure that you get a well-deserved sleeping time after a hectic day at work. That’s exactly why we prioritize the inner structure of the pillow through illustrations to help you choose the best pillows. Each of our pillows has its tale which a photograph cannot describe it to you. The construction process requires your undivided attention for you to have an idea about it. Having a basic understanding of the construction process will help you decide which pillow to buy for yourself. When looking for a suitable down pillow, every individual has their preferences. A common choice is a soft and a rectangular shaped pillow with the perfect support for the head. The pillow collection consists of uniquely designed inner-chamber pillows. These come in different shapes and styles explicitly made to suit your comfort demands. All the pillows come with squashy and supportive feathers, which add up to the comfort levels. The quantity of feathers varies in each pillow depending upon the firmness, softness and the support requirements of an individual. With more fluffy down and a firm inner core, this type is perfect for head support. If you are looking for an all down feature, this pillow is the ideal choice for you. The internal chamber keeps the feather filling in place making up comfortable neck support as well. The Grand Embrace ®- Pillow is an example of a pillow with one inner chamber. This type comes with two inner chambers with a typical design. The presence of two chambers further adds to the neck and head support making it a worthy choice for you. Different layers of the feathers border the chambers to add to the firmness and softness of the pillow. The filling of the pillow is either of down or feathers depending upon your preferences. A feather filling is more suitable for a firm pillow while a down filling accommodates a softer pillow. Some of the pillows with dual inner chambers include the Slumber Core ® -All down Pillow and the Slumber Core ® Pillow. The pillow type consists of three chambers of feathers. The chambers keep the structure compact and maintain the softness of the pillow with ease. Two walls keep the three chambers in place for your maximum comfort especially when you move from side to side. Some examples of such pillow type are Tria® All down Pillow and the Side-by-Side Firm Pillow. With a pillow inside a pillow filled with the highest quality feathers, the down makes up a worthy bedroom addition. Apart from the feathers, the design also supports the structure of the pillow. You can adjust the supporting levels by increasing or decreasing the quantity of feathers in the inner pillow. The structure of this type comprises a down filled pillow with a feather filled pillow. Both of these are adjustable for a firm support for your head and neck. Some examples include Hotel Touch of Down, Double DownAround® Soft, Medium, Firm, Down Around® and AllerRest®. The type contains an inner pillow with a baffle in the middle that makes up the side by side chambers. The chambers are there to ensure that the structure is adjustable to your movements especially while you are sleeping. The baffle wall keeps the filling in a position to avoid the unnecessary shift of the feathers. The pillow is mostly layered by down to provide the required fluffiness for your support. The Side By Side® Pillow is an example of the special design. If you are looking for long-lasting firmness in a pillow, the baffle box inner design is the perfect choice for you. The presence of the baffles in the internal structure ensures an evenly spread filling. The distribution is in form of boxes formed by baffles for maximum support for your head. A down layer similar to other pillow designs then covers the internal structure adding to the comfort levels. The StayLoft™ Pillows are prime examples of the baffle box inner design. Like other designs, the Nook inner chamber construction also consists of a down layer. The inner chamber has a hollow space in the middle which is responsible for your neck and head support. If you are a back sleeper, the Nook™ Pillow is a good choice for you in this construction type. This type does not consist of an internal chamber. The filling can comprise of down, feathers or even a mix of both in a single piece. A redeeming quality about this type is that it can adjust to any of your sleeping positions with no difficulty. The type also allows you to decide the down and feather quantity so you can determine the harness and the fluffiness of the pillow. For instance, a feather pillow when compared to a down pillow will be more firm and less soft. There are numerous options for you to choose from in this category. Some of these include the Resilla Pillow, Prestige Pillows, and the Luxury down Pillows. The pillow collection comes up with some classic style and designs which can give your bed a unique look. You should look for something which provides you the optimum level of comfort. A soft pillow with the perfect neck and head support makes up an undisturbed good night’s sleep. The Pacific Coast® Pillows come up with a 30 nigh comfort guarantee which indicates the quality of the production. If you are having trouble finding your perfect pillow, give this guide a read and you will find your pillow match.